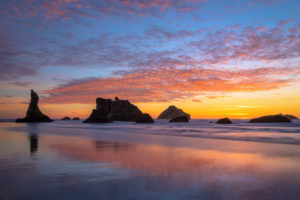 John Christer Petersen is a local fine art photographer whose new show, Bandon at Waters’ Edge, opens at The Photographers’ Gallery At The Ashland Art Center during the 1st Friday Art Walk on June 1st. 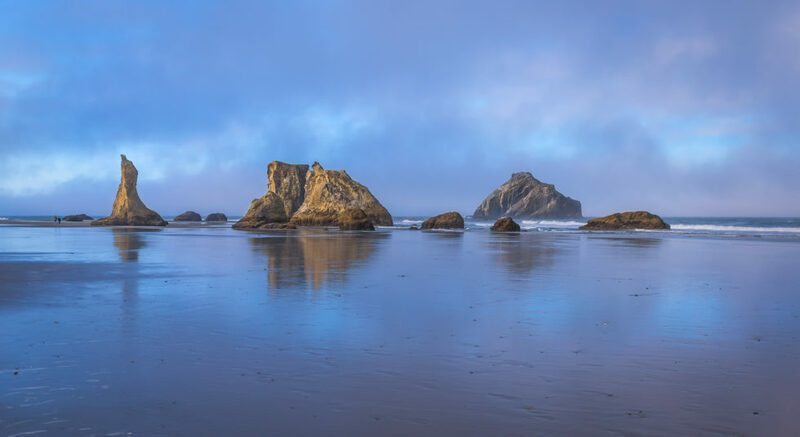 John is always looking for the finger prints of God, so he loves to escape to Bandon By the Sea for R& R. Bandon Beach on the Oregon Coast is one of the most beautiful beaches in the United States. It is a “must do” for landscape photographers. 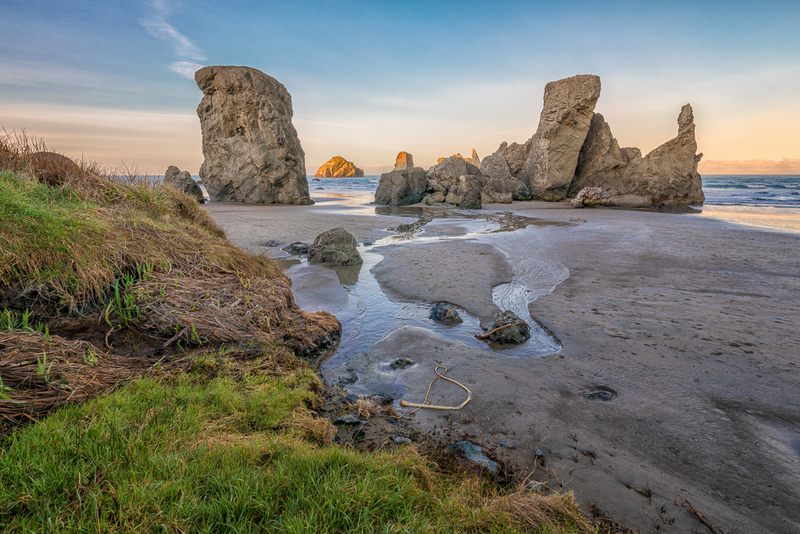 The majestic sea stacks, rocks, and tide pools along with the ever-changing weather make for great photography.